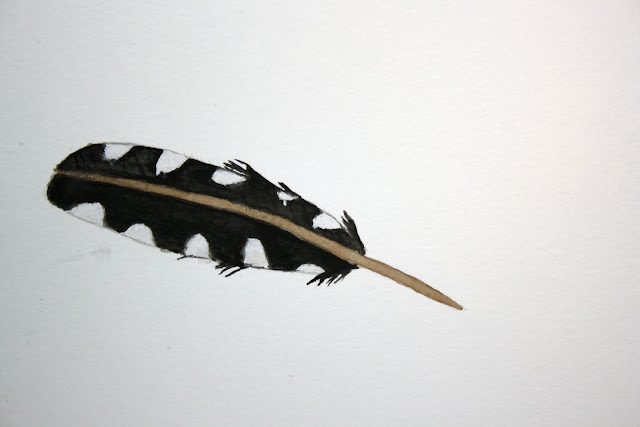 A watercolor I painted of a Northern Flicker's feather from my backyard. Another watercolor painting, of a snail on a branch. 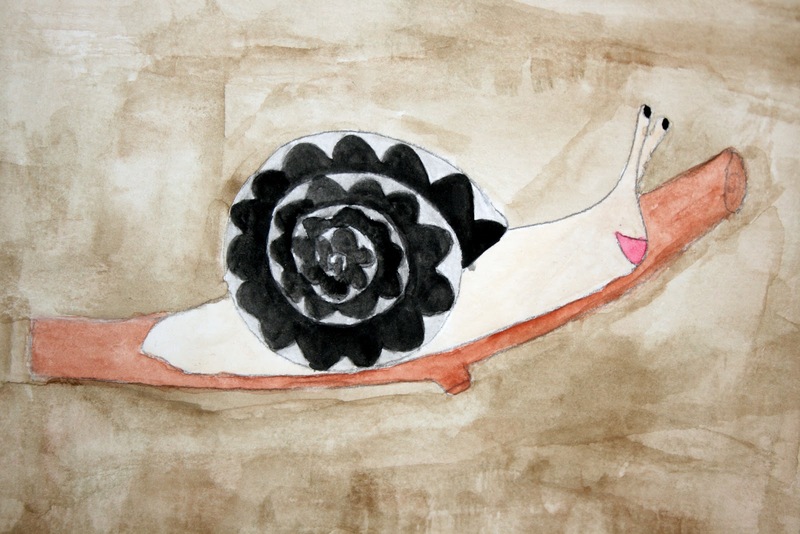 This was inspired by my Helix Aspersa snail Gary! Great watercolors! I like to see the variety of work that you create! Could you show more of the dolls and softies you've made in the past? Thank you! That's a great idea, I'll be sure to show more of the softies and dolls I've created soon!